On December 4, 2018, Golf Digest released its 2019 list of America’s 100 Best Clubfitters. According to Golf Digest’s equipment editor Mike Stachura, “The 2019 list is the result of detailed consultation of industry sources and a survey of our nearly 1,500-member, nationwide, America’s 100 Greatest Course-ratings panel on the best places in their respective locations.” Stachura added, “We also considered nomination submissions, a detailed application form and reader recommendations of more than 800 facilities (shops, fitting studios, golf courses, practice ranges, teaching academies. )” Club Champion placed all thirty-four of its locations on the list that were open during the submission period. Club Champion has been a staple on this list nine consecutive years and company founder Nick Sherburne was among those selected to answer fitting questions in the article tied to the Top Fitters list. Established in 2010, Club Champion is a national club fitting and building company headquartered in Chicago, IL. They have 40 locations across the country. 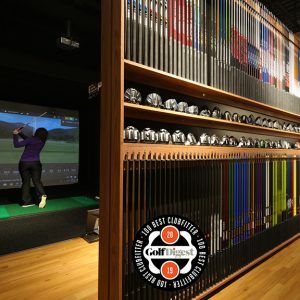 Their studios carry all the top golf club, shaft and grip manufacturers in the industry, which allows for 35,000+ equipment combinations for customers to test. Studios are equipped with advanced analysis technology and highly trained certified fitters and builders, all of whom must graduate through an extensive training program. Services include custom fitting and building for all club purchases, repair services, personalization and highly engaging corporate and personal entertainment events. For more information about Club Champion, visit www.clubchampiongolf.com.